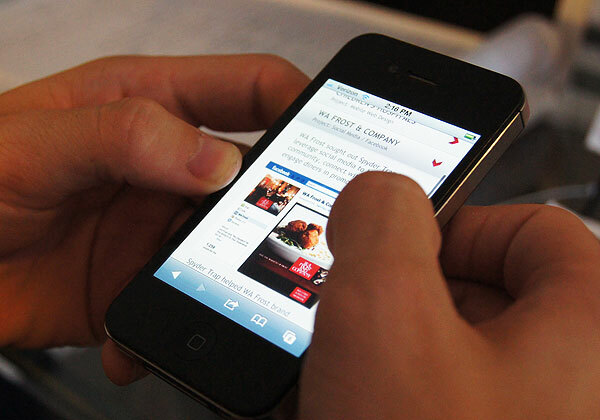 According to a Pew research study, by the end of 2013 mobile site use will surpass traditional Internet usage. This means that people will be looking for your website on their smartphones more and more, and if you don’t have a mobile site for your main site, you will get overlooked. You can’t just have any site, though; you need a site that will interact with your audience, draw them in, and give them the information they need in a concise, easy-to-read format. These are the features you must have if your site is going to compete with other sites. One of the best features of a mobile site is the “click-to-call” feature that allows a client to touch the phone number on their screen and connect instantly to your phone number. They then hit the call button on their phone and can call you immediately. This is great because people don’t have to swap back and forth between screens to dial your number, and this easy feature makes them more likely to call you. These one-click features can also be used for email, social media, and even directions to your business. Almost all mobile websites have interactive features like social media links, email, and other features that connect you to the client perusing your site. You can list a map and directions for people to find your business easily, or you can have a one-click link to a discussion forum where people can talk about your products. Another great interactive feature is giving people coupons or discounts online that they can redeem in your store. This will make people more likely to buy with you, as well as promote your business. But interactive features can go beyond these simple interactions. Let’s assume you own a pizza restaurant and you want people to be able to build their own pizzas with you. You can add an interactive feature that lets them build the pizza on your site and then use a one-click button to order. One thing you cannot do is allow your site to get bogged down with too much content or a hard-to-read template. If you do this you will definitely turn off the potential client because they won’t be able to read your site and will go elsewhere. You need to keep in mind that smartphone screens are not as big as computer screens and if you put too much content on your mobile site it makes things hard to see on such a small screen. Take only the important information and put it on your main page, and then use links to divide information so that people can go directly where they want without having to read through information they don’t need. When building a mobile site, you have to be aware that there are features you need to have and some things you don’t. For instance, you need interactive features and one-click links. You don’t, however, need to bog your site down with too much information that will only confuse or frustrate potential clients. Keep your site simple and fun so that your clients will think of you first and recommend you to others. Previous: How to use Registry Setup with Regedit? Share your files easily using Fileswap!